In Puerto Rico a sato is said of any cross-breed dog or cat, wanderer and of ordinary appearance; beloved for being loyal and humble, and in demand for its immunity and size. i am satos™ suggests Puerto Ricans are ourselves satos, cross-breed wandering nation. i am satos™ means: We are satos, in plural because the individual is a collection of these wanderers. As a brand, i am satos™ aims to articulate various platforms of production within the vision of local empowerment. 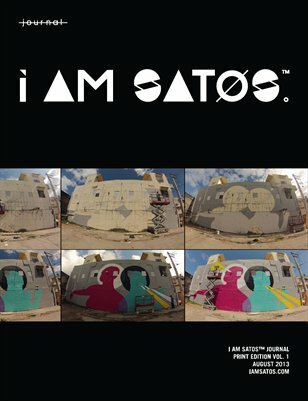 i am satos™ Journal proposes a global platform for creative views on being Puerto Rican from varying contemporary surroundings according to wandering young students and professionals around the world. The Journal exposes in mixed media the engagement of satos in fields such as: art, design, architecture, business, technology and even science. These satos are collaborators, friends and allies, who for now gift their time and always mischeviously share their experiences. Each sato brings other satos to the platform, thus expanding the conversation about the satos culture. Enjoy what we denominate the satos culture through our thoughts and experiences shared in the Journal, and you too can say i am satos™. We are satos experiencing our culture through our occupations, wherever we go from exile and back. If you are a sato interested in sharing experiences and becoming a collaborator please contact our editors via twitter or email. Collaborators can be writers, photographers, social media advocates, critics and sponsors. 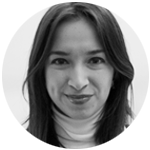 Mariana (Palo Alto, CA) is currently a designer at Silicon Valley. She studied Design Management at Savannah College of Art and Design. She is also an avid dreamer, bicycle commuter, and family member. Previously an architecture designer at San Juan, PR. Fortunato Velázquez (San Juan, PR) graduated in Arts Administration at Universidad del Turabo. He is also a painter, comic book geek, and nephew. You can find him at the National Gallery in Old San Juan, and see his works at Biaggi Faure Fine Arts, San Juan, PR. María Julia Escalona (Ponce, PR) teaches parametric modeling courses at the School of Architecture at the Pontifical Catholic University of Puerto Rico. Her cross disciplinary work in architecture is influenced by languages, social sciences, sculpture, theory and art history, which she also complements with photography. You can find her work published in November 2012 edition of Spanish magazine Márgenes Arquitectura. Sebastian Galafate (Cadiz, Spain) is working in the design and development of an Oil & Gas Offshore Platform. He always keeps an eye on architecture, heritage, travels and culture. He is a regular reader, enjoys all kinds of music, and is an addict to films from Argentina. Previously was a teacher assistant, researcher, collaborator in some architectural offices and a boricua in training too. His next professional projects are not even known to the Mayas. Jonathan Delgado Peña (San Juan, PR) graduated with a Master in Architecture from the University of Puerto Rico. His capstone theme develops in the meeting of new and existing architecture. Since 2010 he has been involved in Dr. Enrique Vivoni’s investigation about the American houses in Corsica, France. He currently works in the Archive of Architecture and Construction of the University of Puerto Rico (AACUPR). He is also a coffee lover and enjoys listening to salsa and Latin Jazz percussionists. Rebecca Díaz-Atienza (San Juan, PR) works as a freelance architectural designer and baker. Her beloved hometown, Jayuya, receives constant visits from her. She completed a Master’s degree in Architecture at the University of Puerto Rico, where she also achieved a Certificate on Historical Preservation Studies. In her professional future she sees a successful mix of architecture, preservation, photography, management and baking. Priscila Mendoza (Savannah, GA) is studying a MFA in Design Management at Savannah College of Art and Design. Her background is in Information Design, Advertising and Brand Development. She was previously an Art Director in Monterrey, Mexico. Her current interests are directed towards future planning and strategy. Naimar Ramírez (Savannah, GA) is an artist who concentrates in photography and sculpture. She graduated from the University of Puerto Rico in 2011 with a degree in Environmental Design and Photography, and recently finished a Photography M.F.A. at Savannah College of Art and Design. A deep interest in cultural encounters and language as well as the inevitable effects of translation on communication, fuel a search for similar mutations in her visual work. 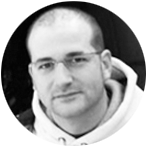 Ricardo Coll Martínez (Bayamón, PR) is an artist and designer with background in visual arts, sculpture and web programming. His current interest is in graphic design, for which he is doing a B.A. in Graphic Design at the University of Puerto Rico.